Located 20 minutes south of Charlottesville, Lovingston Winery is a top quality wine producer in the region. Lovingston has received numerous accolades in the wine industry but has struggled to gain brand recognition among the myriad Central Virginia wineries. Refresh worked closely with Lovingston to emphasize brand, location and quality. In wine, sometimes the label makes the sale. Our design team expanded on Lovingston’s existing labels for design elements and color schemes; creating an unmistakable transition from shelf to site. We don’t work from templates. Refresh works with you to determine what makes your business successful and what makes you stand out from your competition. We listen to you and create custom solutions which are both easy for your staff to maintain and engaging to your visitors. 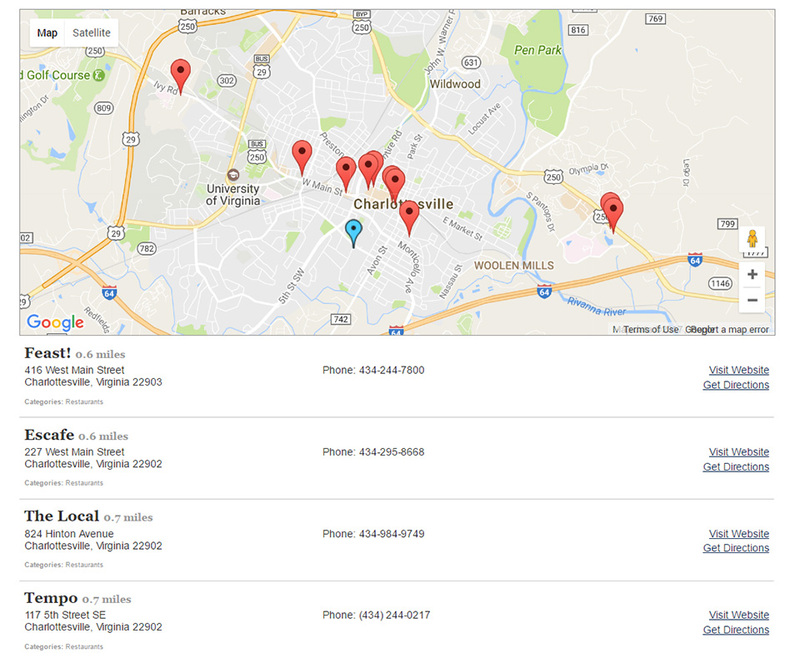 To help visitors appreciate Lovingston’s location and proximity to cities like Lynchburg and Richmond, we created a custom map and integrated an easy-to-use search function to help wine lovers find Lovingston Wine at a store / restaurant near them. Visitors can punch-in a zip code and find Lovingston wine nearby! Refresh created an API based aggregator to pull in blog posts, Facebook posts and twitter posts onto the Lovingston homepage. 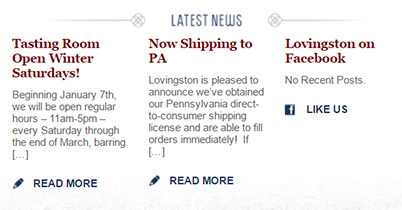 Leveraging social media on the website is yet another way Lovingston is getting the word out about their great product. In 2011 Lovingston became the first VA winery to receive an 89 rating from Wine Enthusiast. These independent scores can help buyers make their decisions and inform customers on the quality of wine that Lovingston produces. 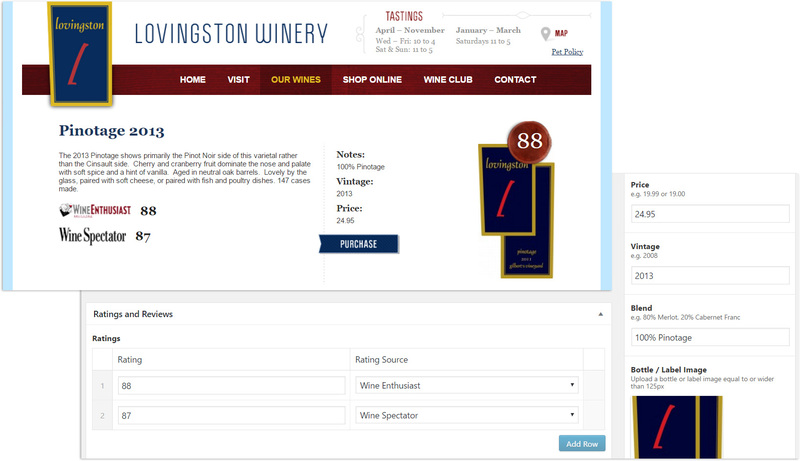 To publish this information on each wine, Refresh made a simple back-end interface for Lovingston to add scores / awards and reviews that their wines receive.